I have always been transparent here at Jeffalytics with successes, and also try to share when things don’t go as well as I had hoped. One of my projects has not gone according to plan, and I have decided to wind it down. Here are the painful details about how I reached that decision. Things were so innocent last January. I started teaching at the University of St. Thomas (my alma mater) and the class was well received. It is a Digital Marketing Certificate class (the first in Minnesota) and focused on the strategy behind digital marketing efforts. The audience was post-graduates who already had marketing careers who needed a digital update, as well as those looking for a career change. During the class we shared many techniques for developing a digital marketing strategy, gave the students templates to get work done, and helped many awesome professionals expand their knowledge base. The students were so impressed that they said I should make a website to share these resources online for other marketers to use as well. I could even charge for access! My initial thought was to put the content onto Jeffalytics, but I was concerned about how to merge the two paradigms. One site was a blog about digital marketing and analytics tactics. The other would provide documents, training and coaching for digital marketers. Would I be able to do both on the same website platform? Would existing readers be turned off? While this may sound like splitting hairs to many people (in retrospect it IS), I decided to make the new site a standalone operation. $100’s in domains and a shitload of coffee later, I had a working website within a week. You could sign up to be a member, pay for a subscription, and download all of these awesome documents. I even had a cool name for the site – Knowledge Land. A throwback to a lesson from class, I wanted this site to be the foremost repository of digital marketing knowledge in the land. Does this sound overly ambitious for a one-man operation who was maintaining several other websites as well? It should. I spent 2 months making Knowledge Land a reality. I posted a new template every week. I wrote an email auto-responder series to introduce people to the site. Then I moved to San Francisco and didn’t touch the site for 3 months. During all of this time, Jeffalytics was neglected. Traffic started to decline. In the fall I started to focus on Knowledge Land again, spending 3 months moving the site to a new platform and getting everything back in order. That even lead me to start blogging on a regular schedule in December. 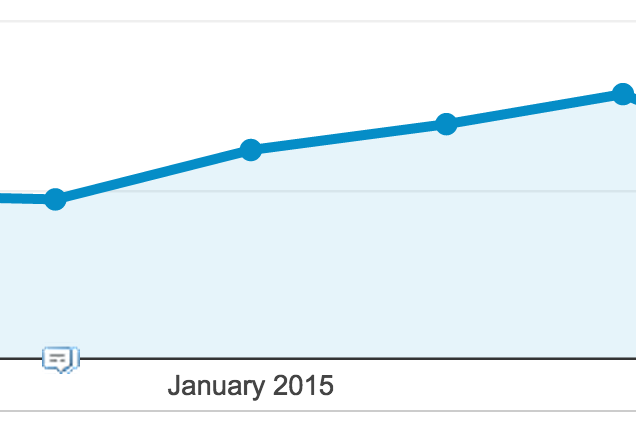 I started to introduce 3x a week posts and traffic started to rise steadily for the site. Signups were also rising, but only free subscribers. Barely anyone was paying for premium content. And even with the traffic gains, I was seeing less impact overall. So I decided to move my focus back to Jeffalytics, making a new blog post every week to gain some of my traffic back. This has worked quite well, an increase of 6,000 visitors per month since I changed the schedule from 1x monthly to 1x weekly posts in January of this year. This is 3x higher than I was able to achieve during the best month blogging 3x a week at Knowledge Land. The obvious SEO lesson here is that an established domain with lots of link equity is the best place to publish your content. This probably goes without saying to many of you, but working really hard for 3 months and then falling off the face of the earth is not an ideal way to gain an audience. But that is what happens when you try to operate several websites. You intensely focus on one site until it is “good” for a while and then work on something else. Once the other site stops being “good” you start working on it again. What ends up happening is dilution. Dilution of visitors, audience and impact. That dilution is met with feelings of guilt and being overwhelmed. There are a few dashes of inspiration mixed in, but by that point who is listening? Work 12 months on the same thing, become a juggernaut? I have decided to retroactively fold all of my Knowledge Land efforts back into Jeffalytics. This means moving all blog posts and redirecting the domain name. This means merging email lists and providing regular messages. It may piss some people off at first. But it will also lead to a more consistent offering, and this consistent offering will bring in more people over the long term. That is my goal here, the long term. 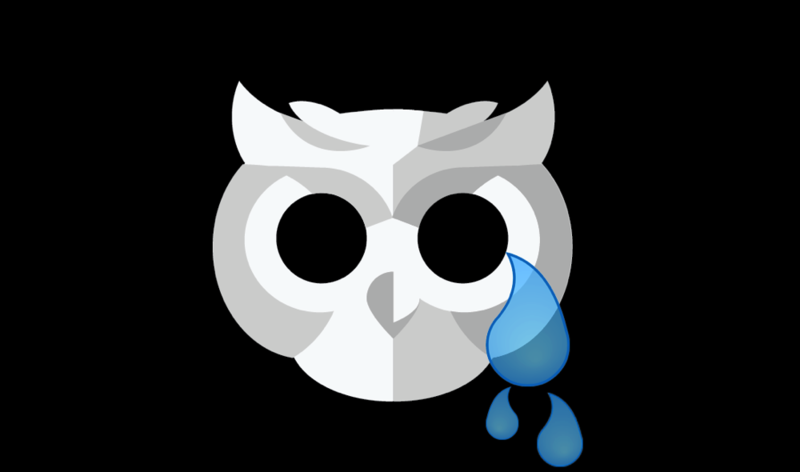 The blog will go back to being a mix of analytics, digital marketing and career wisdom. Not every post will resonate with everyone, but every post will provide an honest perspective. Avinash writes about Analytics. Rand writes about SEO. Kevin writes about Catalogs. Seth spits wisdom. Fred writes about VC. That is not exactly a niche. But you know what? Some of my favorite new bloggers are doing this exact same thing. There are two Matthew’s from the UK – Matthew Woodward and Matthew Barby. I love what they are doing right now with their blogs, and they are quietly building empires of their own. I will only maintain two blogs. Jeffalytics is a blog about Internet marketing written by Jeff Sauer. It will be about whatever topic I find interesting or have a unique opinion to discuss. It will mostly be about Analytics. I will be updating at least once a week. Jeffsetter is a blog about travel written by Jeff Sauer. It will be about travel, photography and wine. Mostly photography. Both sites will continue to stroke my narcissism by having my name in them. If you find me building a new blog, please call me out and cite this post.